The Cecil B. Highland, Jr. & Barbara B. Highland Cancer Center at United Hospital Center (UHC) located in Bridgeport, WV—a member of WVU Medicine—is certified by the American College of Surgeons as a comprehensive community cancer center. 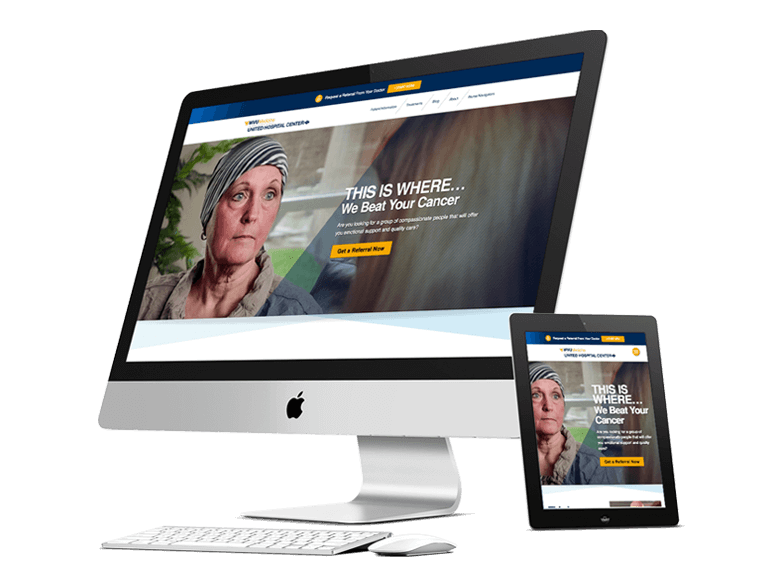 To better showcase why it’s widely respected for the dedication and experience they have for treating all adult cancers, BlaineTurner Advertising redesigned the UHC oncology website to create informative, interactive and responsive content. 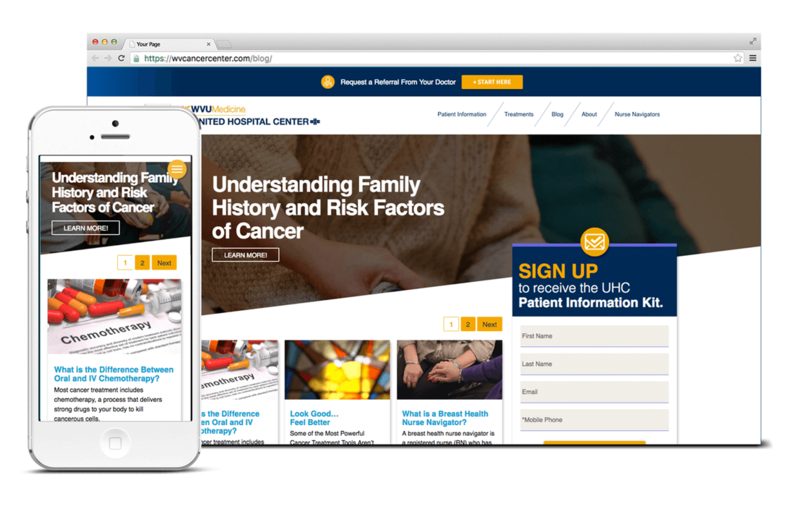 BTA created a conversion-centric site that supports UHC’s mission and provides reliable information to its patients, by adding facts and statistics to the adult cancers they treat, including additional testimonials, such as nurse navigator videos, and encouraged viewers to request a referral from their doctor and sign up for screenings before symptoms occur. 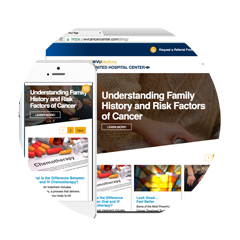 The site also conforms to all devices used by UHC’s patients.